Divorce may end a marriage, but it does not necessarily end a relationship. Parents with children will have to communicate with each other after divorcing, especially if there is a child-support agreement in place. On occasion, child-support agreements require attention or alteration after divorce. If you are in such a situation, you should strongly consider contacting Johnson Mediation for assistance through this process. And, even if the issue you have does not involve changing an agreement, but is instead about a differing interpretation of the child-support agreement, mediation can be an ideal way to resolve misunderstandings and miscommunication. The team at Johnson Mediation can help those in Bloomington and Chanhassen, MN resolve issues both during and after a divorce. Child support is one of the most complex issues to resolve during the divorce process and it can change for many reasons after a divorce is final. You or your ex-spouse may get a new job which pays more (or less) money, experience a job loss or a significant financial change that results in the need to re-examine the child support agreement. When this happens, it is easy to have disagreement about how best to resolve the issue. The process of determining child support can be very complex, not simply because of changes in law pertaining to child support, but because the law applies differently to different cases. Not every change to a child support agreement can go through the courts system. Mediation is an alternative way to solve these issues when they arise, costing you less money and time. If child support is an issue after your divorce, Johnson Mediation can help. We can help you understand your options when child support is an issue. 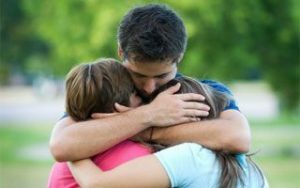 The kinds of issues faced by parents after divorce can vary greatly. If you believe the child support that was agreed upon during your divorce proceeding is placing undue burden on you, we can help you be more informed about what you can do to make changes. Johnson Mediation is a well-known name in divorce mediation. We have worked hard to establish a positive reputation that is based on our genuine desire to make sure you are supported not only during your divorce, but afterward as well. 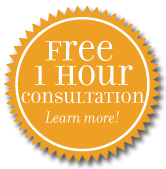 So if you live in Chanhassen, or Bloomington, Minnesota, give us a call at 952-401-7599 and we will be happy to schedule your free consultation.